Ever wanted to save the world? Well you can almost do that by taking part in Superheroes Race this April 17 at Putrajaya. Superheroes Race is Asia's mightiest Superheroes Race and Malaysia's largest superheroes race to date. The run is founded in Malaysia by NM Galaxy team and had managed to gather almost 2,000 runners in its very first event held at Bukit Jalil last year. Runners can choose between three distances to run for, the 3 kilometer Fun Run, 10 kilometer Power Run and 15 kilometer Super Run. Besides the main event, the jolly fun day includes cosplays, lucky draws, dance battles and many more. The 3 kilometer Fun Run is only RM 40 while the 10 kilometer Power Run and the 15 kilometer Super Run is at RM 45 and runners will receive a bib and a finisher medal. However their exclusive running tees are sold separately. Registration opened on 25 January and it closes on 17 March. 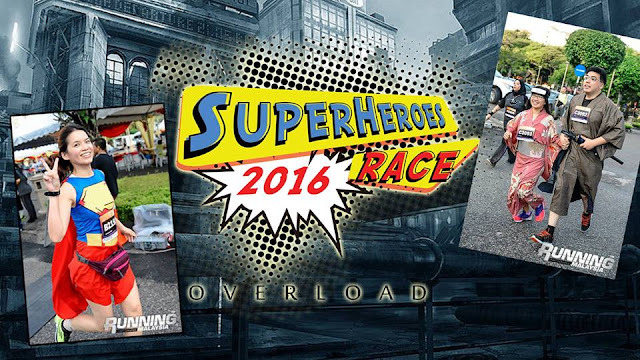 For further information do visit http://run.tixtac.com/superheroes-race-2016/ or http://www.superheroesrace.asia/.